Even though he never appeared in Robert Kirkman’s original comic, Daryl has been the breakout character on The Walking Dead. His popularity has arguably caused viewers to fear for his safety more than any of the show’s other survivors. For proof of this, look no further than the “If Daryl Dies, We Riot” mantra that graces plenty of T-shirts, coffee mugs, and bumper stickers. Daryl’s absence would definitely leave a big hole on the series. But thankfully, Norman Reedus himself is here to set the record straight. Obviously, that decision isn’t entirely up to him. Reedus went on to acknowledge that Daryl’s fate ultimately lies in the hands of the series’ writers and producers. 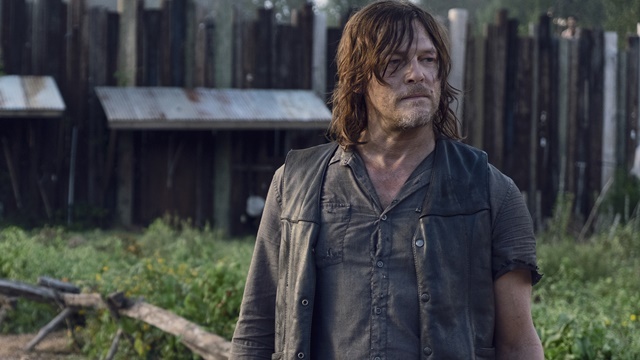 However, when asked about how he’d like to see Daryl make his exit, it was hard for him to envision a concrete scenario. The fact that Reedus is in it for the long haul shouldn’t come as a surprise. Following the departure of Andrew Lincoln, Reedus and Melissa McBride (Carol) signed new deals that will keep them part of The Walking Dead universe for the next three years. Their updated contracts offer them opportunities to appear in any spinoff projects that AMC is currently planning. Are you happy that Norman Reedus is sticking around on The Walking Dead? How would you picture Daryl leaving the series? Tell us what you think in the comment section below!